What are dental implant teeth? Dental implants are small titanium rods that look like natural roots of teeth. They are actually small screws that are placed into the jaw bone to replace missing or damaged teeth. Dental implants come in a variety of different shapes, sizes, lengths and diameters. Dental implant teeth are better and more comfortable than other alternatives of missing teeth replacements. This is one of the simplest and cheapest solutions for replacing a single missing tooth. The appliance is made of acrylic and it can be removed and replaced into the mouth very easily. The disadvantage of dentures is that they are removable and are therefore difficult to cope with. A removable denture never really feels comfortable like a fixed dental bridge or dental implant teeth. This solution can be used when there are suitable strong healthy teeth adjacent to the space that is present. 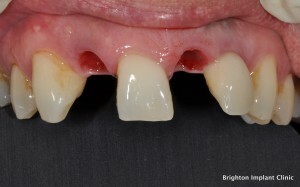 The adjacent teeth are prepared for accepting and supporting a fixed dental bridge. The preparation requires a reduction of about 1-1.5 mm of tooth enamel. This process is quite destructive and its for this reason that dental bridges are not recommended when the adjacent teeth are in pristine condition. 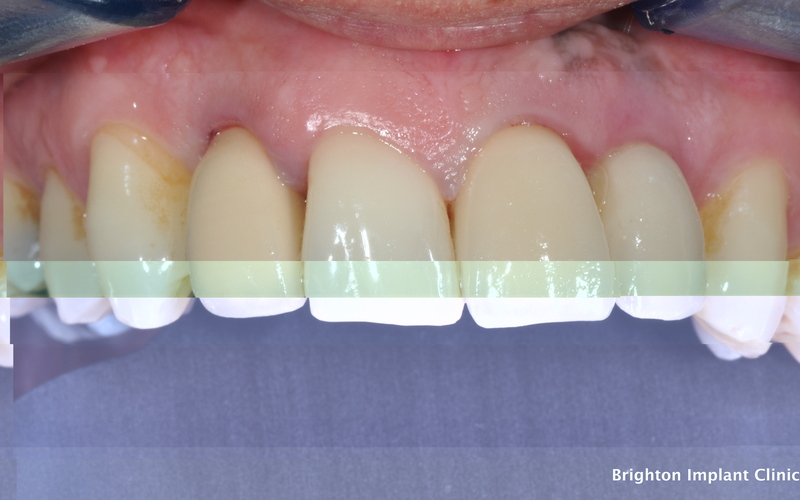 A fixed dental bridge is more convenient and comfortable than a removable partial denture however its more destructive to the adjacent teeth as opposed to the denture or dental implant teeth. 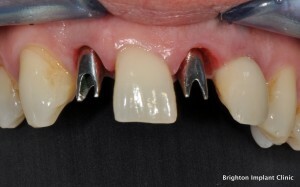 With dental implants the adjacent teeth are spared and are not prepared for a fixed dental bridge. With dental implant teeth the dental implant is placed in the space that is present. 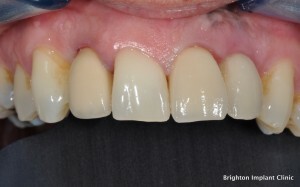 Once the dental implant has healed a dental crown or dental bridge is attached to the implant. This treatment is the most conservative option of replacing missing teeth. For the more predictable long term solution consider having dental implant teeth. For more information and advice on dental implant teeth and other cosmetic dentistry you can Contact Brighton Implant Clinic or Call us on 0800 111 6623, we offer a free assessment and treatment plan.